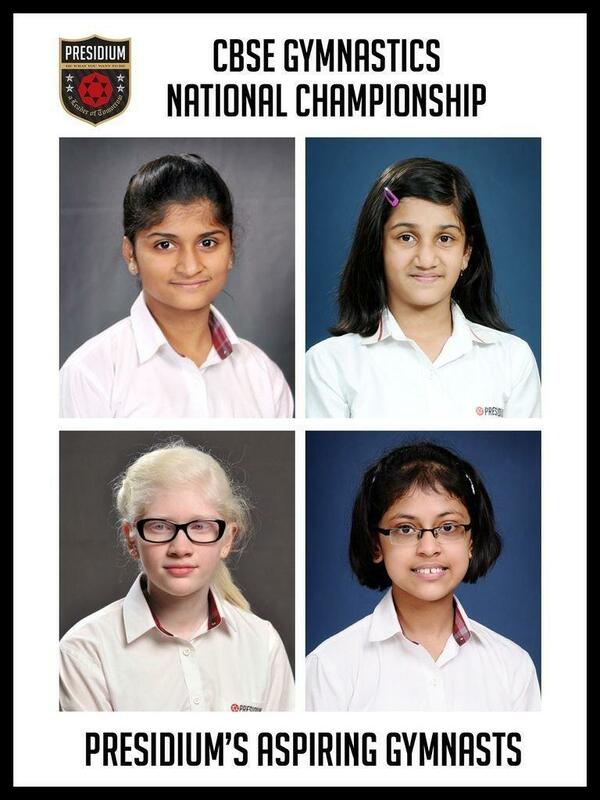 Presidium Aspiring Gymnasts Made a Remarkable Win in National Championship! HomeNews and UpdatesPresidium aspiring gymnasts made a remarkable win in national championship! Presidium is rejoicing moments of pride in a sequence! Our budding gymnasts from Presidium Ashok Vihar - Jeha Gupta of VII-E, Chhaya Jain of VI-G, Mahi Gupta of V-D and Sukriti aggarwal of IX-A have secured III position in CBSE Gymnastic National Championship 2015 - U 15 Category, which was held in Rishikul Vidyapeeth Sonipat, Haryana from 8th to 11th May, 2015, among 200 competitive participants from 25 different schools across India. Good going, girls! More power to you!